Our biggest complaint about working for Ford is that they keep coming out with cars we need to own. As if pining after the new Raptor, Focus RS, and Expedition wasn’t enough, Ford has unveiled a new and improved version of a car we weren’t really sure could be improved any further: The Fiesta ST. While the Focus RS is sheer insanity in a hatchback body, the Fiesta ST has enjoyed a loyal following as perhaps the most fun car to drive that you can buy on an economy-car budget. Small, speedy, and only available with a six-speed manual transmission, the Fiesta ST, lovingly called the FiST by its fans, is a true one of a kind. Apart from the two magical letters that adorn its hatch, the ST version of the Fiesta looks more or less just like its budget-friendly sibling. But then along comes the 2017 Fiesta ST which is now completely redesigned, and while we’re still a few weeks out from its official unveiling at the Geneva Auto Show, we know enough to be excited. The FiST looks better than ever, sporting the same design language that makes the Fusion, Mustang, and Escape scream “new Ford” from a mile away, but the big news for car nerds lies, as usual, under the hood. Remember the 1-liter, 3-cylinder engine that Ford offered in the Fiesta that was so small it could fit in a briefcase? Well, they’ve engineered a new, 1.5-liter 3-cylinder engine that, through whatever kind of voodoo goes one in Ford’s R&D department, generates more horsepower than the outgoing 4-cylinder engine. 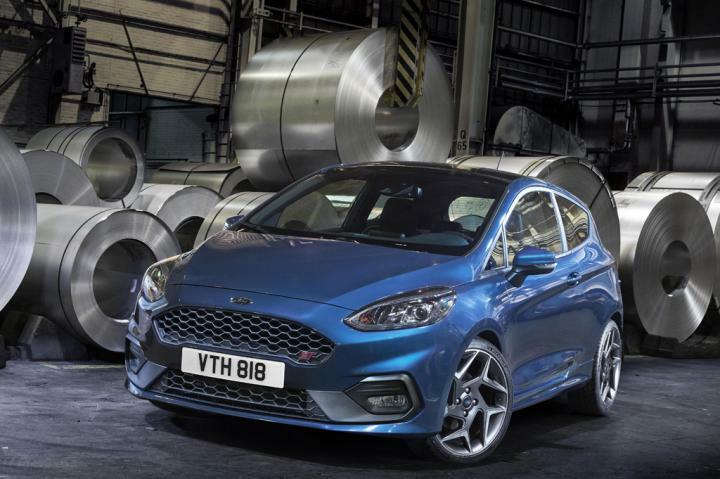 Ford is clearly not interested in messing too much with a good thing, so expect the new Fiesta ST to be a slightly lighter, more efficient, more powerful, and more stylish version of the car you already know and love, and that’s good news for drivers everywhere.